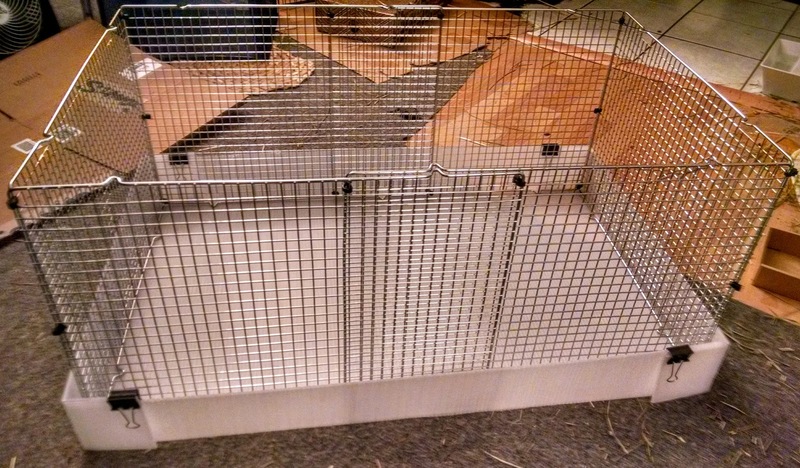 Many people are familiar with C&C cages for guinea pigs, which I also have for mine. 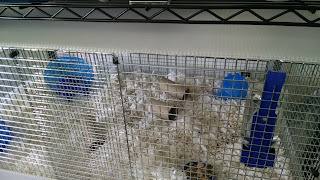 This inspired me to adapt the idea for hamsters, since they also deserve to have as much space as physically possible. This is Tobin. 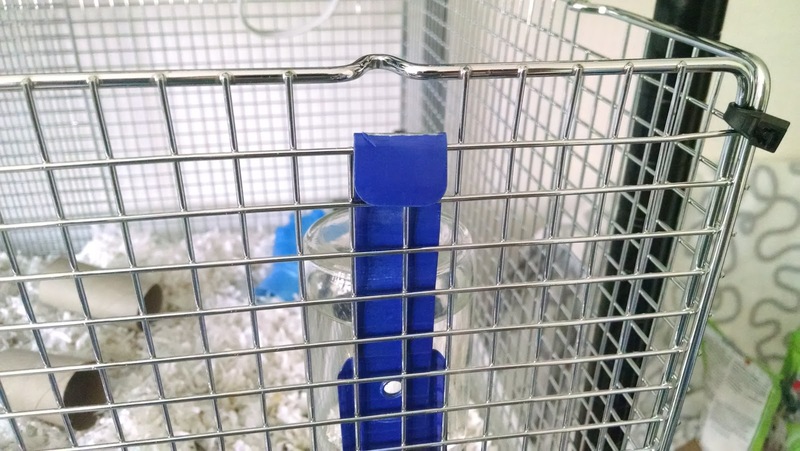 He is an adorably grumpy dwarf hamster who is very dedicated to obtaining treats. 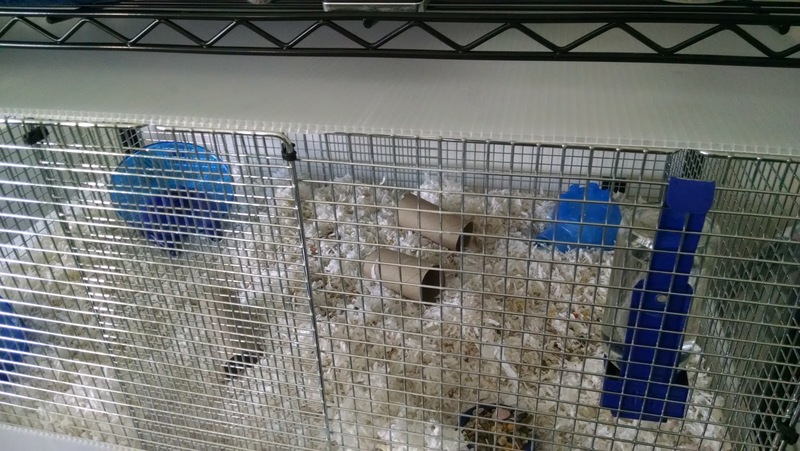 Originally, he and his foster sister Lela were in bin cages on this shelving unit. 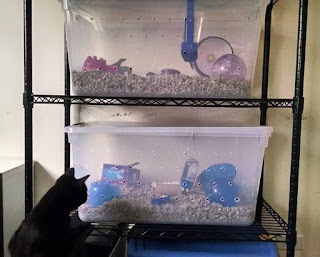 I wanted to continue using this shelving unit for his house. Each shelf is 36" x 18", and the space between the bars is more like 32" x 18". So, I had to adapt the size of the house to fit this. First, a note on sizing. 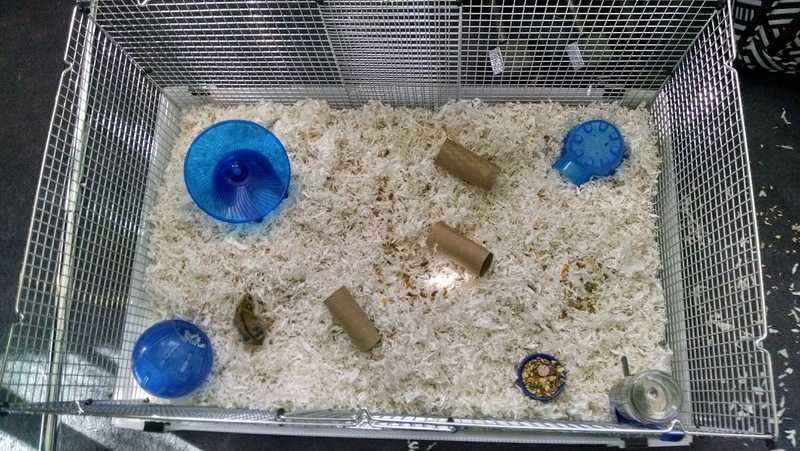 This house ends up being approximately 640 square inches (although if you don't have the space limitation I do, it can be bigger), which is an excellent size for a dwarf hamster. 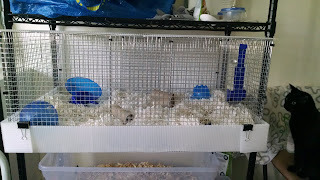 It's an acceptable size for a Syrian hamster, but personally, I'd still go larger for a Syrian. 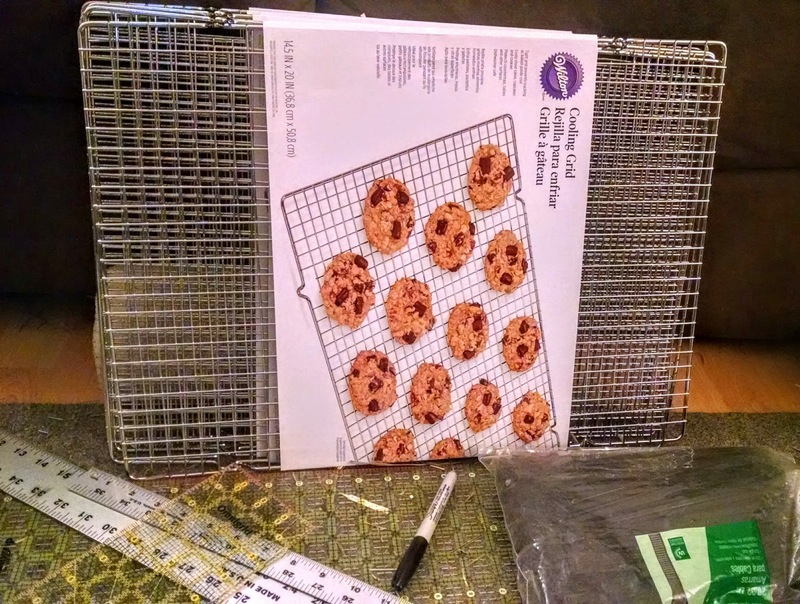 You can get cooling grids at places like Bed Bath & Beyond, Michael's, and Joann's. Keep in mind that these places always have coupons going, so use those to your advantage. You should also grab a marker, some measuring devices, a knife, and something for a cutting surface, like a big cardboard box. Start by assembling the grids into a rectangle that is 14" high. I had to overlap the long sides to fit inside my space requirement. 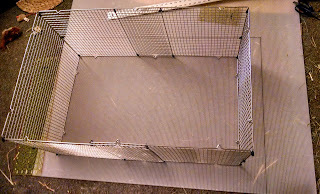 Tie the grids together tightly. 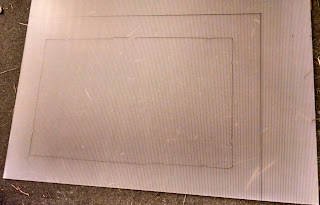 Now, place the finished rectangle on the coroplast. Since Tobin loves tunneling, I decided I wanted 4" high walls on each side, so align and draw accordingly. 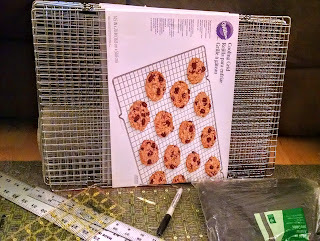 You'll also want to draw a rough outline of the grid walls. Time to cut and score the coroplast. Remember, it's basically two layers of plastic, so cutting means going through both layers, and scoring means going through just one. 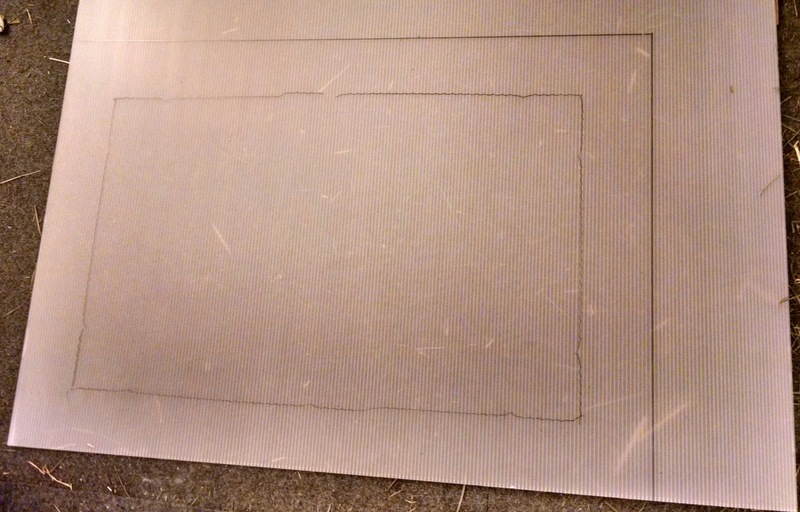 Cut the piece down to size, then score just outside of the outline you drew. You want the base to be slightly larger than the grids. 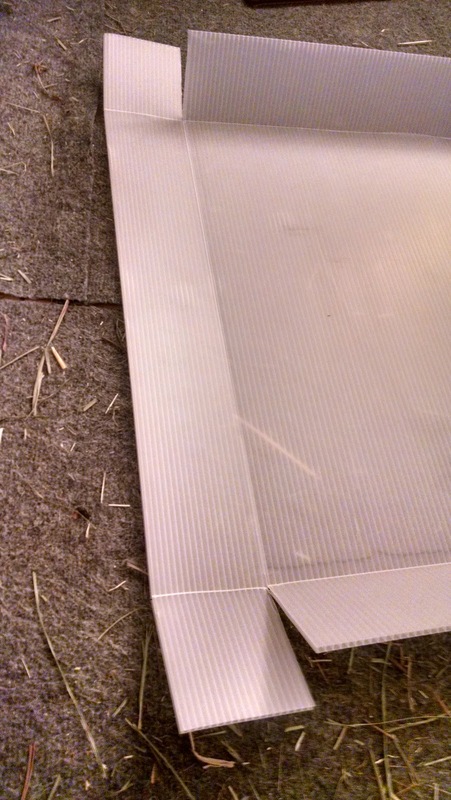 In order to make it a box, you'll also need to cut and score the corners like this. Fold up the sides. 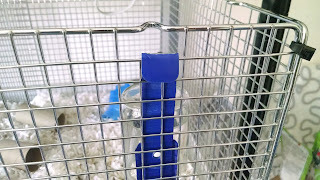 I found it easiest to use binder clips to hold things together. Add bedding, furniture, and adorable tiny hamster. Tobin does not disapprove, anyway. The grids have these handy dandy cutouts for hanging water bottles. I then decided it might not be a bad idea to have a lid of some sort. I just cut a piece of coroplast that was slightly larger than the house and set it on top. 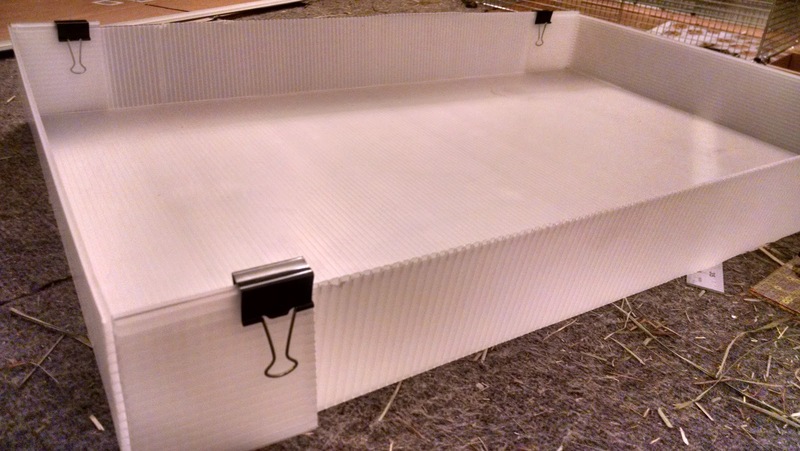 Since mine is in a shelving unit, it doesn't have to be super secure, but if you want a more secure lid, just follow the same directions as for the base, but with a lower height. Tribble also does not disapprove. 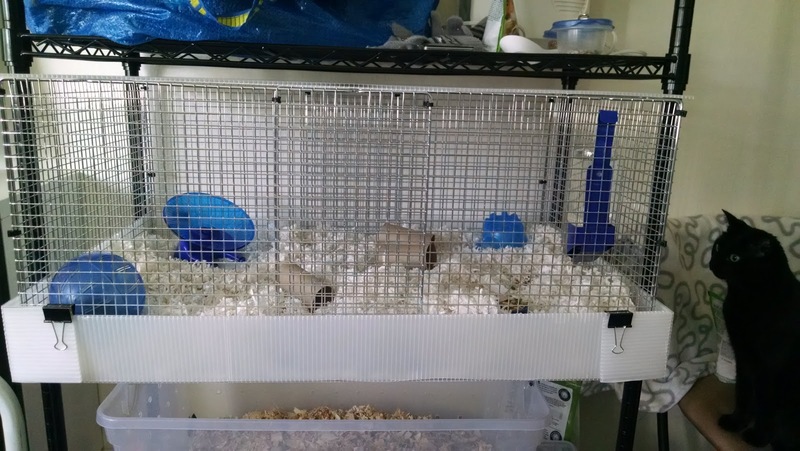 He won't chew thru bottom? Well, hopefully not. It's completely smooth, and doesn't seem any different than other housing options.